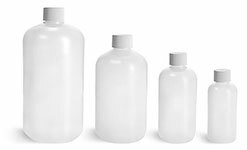 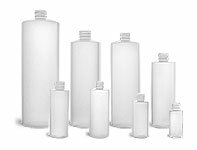 Clear PET square beverage bottles are available in various sizes with black tamper evident caps. 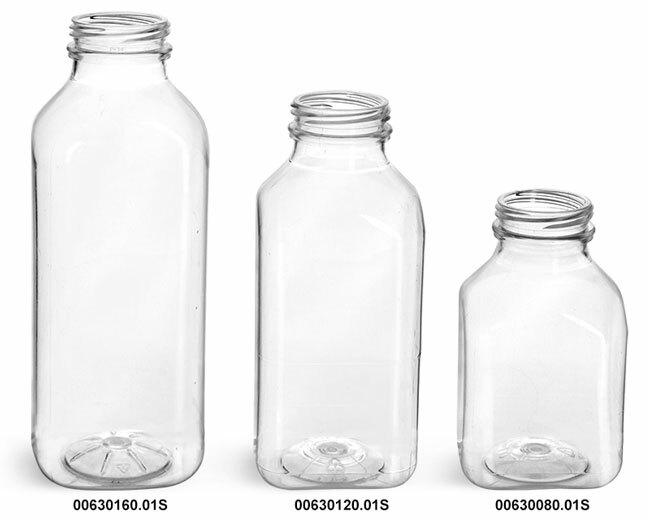 These square PET beverage bottles could be used to package for teas, tonics and juice blends. 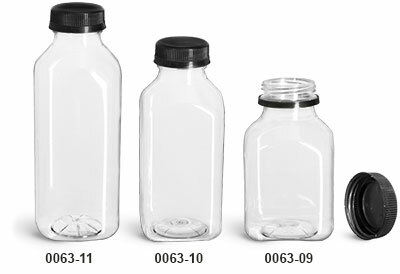 The black unlined tamper evident caps provide visual assurance that your delicious drinks have not been tampered with since filling.